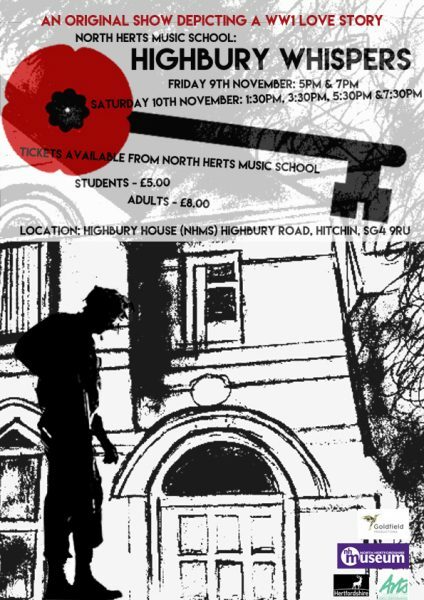 It is a real honour to work on the choreography of this ambitious young people’s music theatre production with the Goldfield Ensemble and North Herts Music School at Highbury House. Something like fifty young people have come together to write, design, direct, compose, stage manage and perform this innovative immersive production. Many have unearthed moving stories about their own family members who fought in WW1, bringing in medals, photos and tales celebrating the importance of storytelling for the present and in remembering the past.